Well, I hate to be the bearer of bad news, but it looks like Tiva will not reunite face to face in the NCIS Season 13 finale. I know, it’s kind of a bummer, but that doesn’t mean Tony’s future will be without Ziva. During a Sunday, April 24, screening and discussion for her film The 33 at Babson College in Wellesley, Massachusetts, several attendees tweeted (via CarterMatt.com) that Cote de Pablo will not return as Ziva and as part of Michael Weatherly’s send-off as Tony DiNozzo. I know my fellow Tiva supporters have been hoping that de Pablo would end up making a surprise appearance in DiNozzo’s final episode, but that definitely doesn’t appear to be the case. As heartbreaking as that is, Ziva could still very well be part of the episode in some capacity. Even though it doesn’t look like fans will see Ziva and Tony in the same room by the end of Season 13, it sure seems like Ziva’s name will be uttered. Let’s just hope Tony’s happy ending does include the former Mossad agent, because it would be sort of disappointing if the two never find their way back to each other. I guess that could happen later down the line, like whenever the series comes to an end and if either Weatherly or de Pablo were to return for the series finale. That said, it’d be nice to see some type of Tiva closure in the Season 13 finale airing on May 17. If that still doesn’t satisfy fans, this just might. De Pablo also opened up about remaining “very close” with Weatherly. She said, “One of the greatest things about my job is that every once in a while you meet people and say, ‘They’re going to be in my life forever,’ and I think he’s one of them.” It really is great to know they have a tight bond. You can watch de Pablo open up about leaving Ziva behind here. Whether you agree with her or not about the writing and Ziva’s storyline, I respect de Pablo for following her heart and wanting to find worthy and respectable work for herself. NCIS airs Tuesdays at 8/7c on CBS. 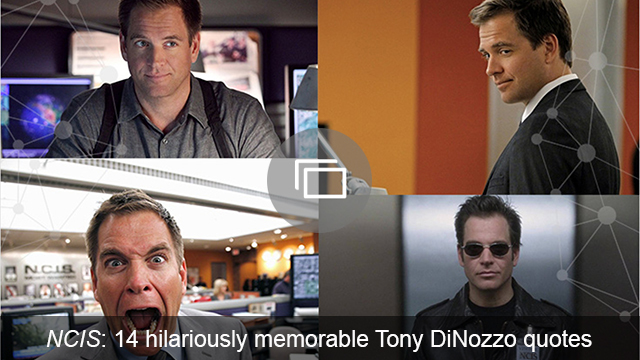 More: NCIS spoilers: Tony DiNozzo’s exit will see him put family first — but which family? Meghan Markle is Getting Bullied. Why Aren’t the Royal Women Defending Her?